Asus has introduced three new additions to its ZenBook series in India, the ZenBook 13, ZenBook 14 and ZenBook 15. The three laptops are fairly lightweight and are targeted at users looking to upgrade to a very portable notebook which doesn’t lack in performance. While it took Asus a couple of months to bring the new ZenBooks to India, now that they are, let’s take a look at the specifications and prices. 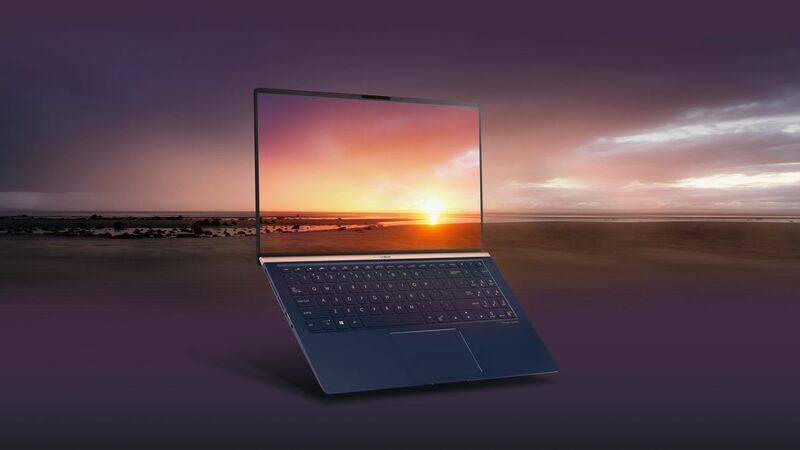 Claiming to be the world’s smallest 13-inch laptop, the Asus ZenBook 13 is 16.9 mm thin and features a 13.3-inch Full HD display with NanoEdge design that makes way for a 95% screen to body ratio due to fairly thin side and bottom bezels (2.8mm – 3.3mm). The display is optimized for wide-viewing up to 178-degrees and has a 100% sRGB color gamut. The ZenBook 13 is available in two variants- with Intel Core i7-8565U (8th gen) processor clocked at 1.8GHz and with 8th gen Intel Core i5-8265U processor. Backing up the graphics is the integrated Intel UHD Graphics 620 and discreet 2GB NVIDIA GeForce MX150 to boot. Users can choose between 8GB or 16GB RAM and SSD storage options that include 256GB, 512GB and tops out at 1TB. The notebook is said to last 14 hours on a single charge. Asus ZenBook 13 also features a digital NumberPad on the glass-covered touchpad. The base model of the ZenBook 13 starts at Rs 71,990 in Royal Blue, Icicle Silver color options. The Asus ZenBook 14 is 0.63-inches thin and weighs around 1.09kg. It features a 14-inch Full HD display with 92% screen to body ratio courtesy of 2.9mm and 3.3mm thin side and bottom bezels. The ZenBook 14 comes with Intel Core i7-8565U (8th gen) processor and Intel Core i5-8265U (8th gen) processor and based upon the variant you choose, the price starts at Rs 72,990. Like the ZenBook 13, the 14-inch version also has the integrated Intel UHD Graphics 620 and 2GB NVIDIA GeForce MX150 graphics card. Asus claims that the ZenBook 14 is able to last for up to 13 hours on a single charge. The top-end variant in the ZenBook series, the ZenBook 15 has a big 15.6-inch Full HD display with upto 92% screen to body ratio. Asus is offering the ZenBook 15 with Intel Core i7-8565U (8th gen) processor and Intel Core i5-8265U (8th gen) processor. This is backed by the integrated Intel UHD Graphics 620 and 2GB NVIDIA GeForce MX150 discreet graphics card. There’s an option to configure the RAM and storage options between 8GB/16GB and 256GB/512GB/1TB SSD storage. The price of Asus ZenBook 15 starts at Rs 1,39,990 and it comes in Royal Blue, Icicle Silver color options.